I will always vote for hedging than a stop loss while trading. 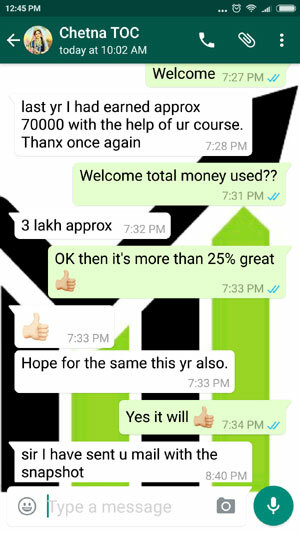 That’s the reason why in my course you will find that all the strategies are properly hedged, so that losses if any are small and negligible, however the profits are good and consistent. Since I almost always trade nifty options, I will restrict my discussion to options and try to reason why hedging suits me better than a stop loss. 1. No need to worry about your positions. If your view is wrong – the hedged trade is making money. Effectively that is working as a stop loss. 2. You decide when to get out of trade – not a stop loss. In fact you can book profits in one position and leave another position open or initiate another hedge / stop loss strategy. 3. No need to baby-sit the market. You can take time off and feel better. Spend time with your family while still making money. You can leave the trades and go on with your work. Come back after some time to see where you stand and take a decision. In a stop loss, unfortunately though you can leave the system – the stop loss is such a devil that you want to keep watching it and hoping it does not get hit. Eventually it does. 4. Watching one position making money 100% of the time gives more joy. Compare this to the feeling of a position that has just hit a stop loss. 100% loss – no profits. 5. 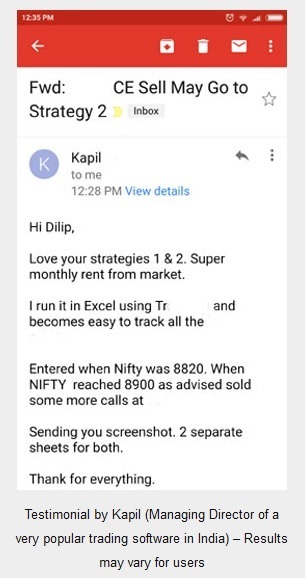 If the trend changes after the stop-loss is hit – there is nothing on this earth you can do about it – except writing a mail to NSE and beg them to reverse the trade which they will not do under any circumstances even if it was their fault. For example a freak trade. You just made a loss and system closed the position. With a hedged position you can leave the trades open for the next hour or day or even few days. More often than not – the trend changes and you can close the trade in profit. 6. You can sleep better in the night as overnight positions can do no harm – remember one positions always keeps you protected. 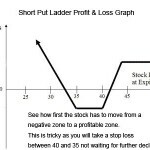 In a stop loss if there is a huge gap opening against your open positions – you will take a stop loss in a market position and see a lot of your money wiped out. It will be a big set back. Some of them can take you out of trading business forever. Hedging will keep you in the game. 7. Sometimes stop loss does not gets executed if the stock/nifty jumps. You are then left at the mercy of the market. Taking a market stop loss will kill you. You will feel miserable for months and will not gather the strength to trade for a long time. This isn’t the case with a hedged position. You will laugh with joy seeing your hedge make a lot of money in a freak second though the other position will be making huge losses. But it will give you time to breath. You won’t freak and press the panic button. 8. Knowing in advance the losses you can make will help you not bother much about your trades so you can take bold decisions and large positions. With a stop loss you can never scale your trades. 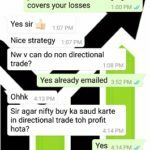 This is my personal experience that people who put a stop loss never exceed a trade of more than 1 lac. How much will your money grow if you cannot compound? Can you trade 50 lots of nifty call options at Rs. 100.00 even with a stop loss? You have to put Rs. Two lacks and Fifty Thousand on the line. If you somehow felt sick and forgot about the trade and your options expires worthless – all your money is gone. But what happens when you sell a call option with Rs. 75.00 and buy a call option of Value Rs. 100.00? Your maximum loss is 25 points. Now can you trade 50 or even 100 lots? Yes you can. 9. Hedging allows you to do some other work when the markets are open. For instance you can do a part-time or a regular job and still make money. Because there is no need to baby-sit your trades. No need to sit six and a half hours in front of your screen. You have to agree with me here – most traders keep watching a trade if there is a stop loss in the system. You cannot do any other job. Your mind will always be with stop-loss. Period. 10. Hedging ensures capital is protected even if the stock opens gap up or down the next day. Imagine a situation where a trader has shorted a stock with a stop loss of 10 points. 1 point is equal to Rs. 1000/-. It is 3.25 pm and stop loss is juts 1 point away from hitting. Then market closes for trading. Next day the trader is shocked to see that the stock has opened gap up 7%. Imagine his losses. 30-35k lost in one single trade. Had he done a hedge his loss would have been reduced by 85%. There is a future hedged with options strategy in my course. This helps a future trader trade futures fearlessly because he knows that the loses are capped and then profits can be unlimited. Some people ask me how to hedge when they are trading stocks in cash intraday. You can but you need to buy/sell a stock that has options available. For example you can buy the stock in cash/futures market if you think it will go up and simultaneously buy a ATM put option. So if your view is wrong the put will make money. In fact if you had bought futures and think that eventually the stock will go up – you can leave this position open overnight and see for the next few days. If the stock rises – you can close the position in profit. Had there been a stop-loss you would have never been able to close it in profit as you have already closed the position in a loss. Hedging should be done simultaneously. Suppose you have bought a call you should sell a call at the same time for the hedge to work effectively. I have seen many traders get greedy and do not buy a hedge at the same time. They think when the time will come they will buy the hedge. That time never comes and they close the position in a loss. Hedge gets costly over time if not bought simultaneously. For example if you have bought a call and not sold an OTM call at the same time. If your view was wrong – the OTM calls will get less in value and the money you pocket will be less when you close the potion. So your loss will be bigger. Suppose you had bought a nifty future and did not buy an ATM put at the same time, and nifty falls. The future has already lost some money that the put option may never be able to recover. Again your losses will be bigger. Suppose you sold a naked call option and did not hedge and the position is going against you. The calls you want to buy for hedging will become costlier (Nifty is rising) and your profits on the calls will be smaller – again your losses will be bigger than what it would have been had you bought the OTM call as soon as you sold the call. Note: In some trades however stop-loss makes sense. For example if you are a small trader and you trade only with RS. 10000 intraday cash. Then you have no other option but to put a stop loss in the system. You don’t have enough cash to hedge your position. Most important note: I like hedging better than stop loss. But that is me not you. Everyone has their own psychology while trading. Some like to work with stop loss and some with hedging. Whatever they are comfortable with. This is my choice and not necessary that you should follow it too. Just try both for some time to decide which one works best for your trades and follow it. But whatever you do – please please please – either put a stop loss or hedge your position or do both. But never play your trades naked. Stock markets are risky investments and should never be traded without proper insurance. Your insurance can be either a stop loss or a hedged position. So what do you prefer – a stop loss or hedging? Please leave in the comments below. Pls send me the RSS feed link of your website. Ashish, I think it is this: http://www.theoptioncourse.com/feed/. But I am not an expert – please check and let me know if it is working. You can even subscribe to the newsletter of this site and you will receive an email whenever I write a new article. You can find newsletter subscription field on top right of this site. I want to read ur writing more and more as l am developing faith on ur truthful, trustworthy and practical writtings. 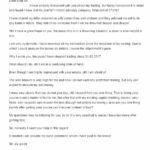 Pl send your all previous, posts, blogs and all emails and new emails too….. Dr Ravindra Sonar 10.9.15.. I want to read ur writing more and more as l am developing faith on ur words truthful, trustworthy and practical writtings. So Pl send your all previous emails, posts, blogs and all emails and new emails too….. Dr Ravindra Sonar 10.9.15.. Hedging means taking an opposite bet on another trade to limit losses (and profits) for the original trade. However you cannot say buying a call and a put is hedging. They both are different trade. For example a sell can be hedge for a buy option. And a buy can be hedge for the sell. Yes selling options may require more margin, but you want to make a profit or you are worried about margin? Hedging will keep you in the game. Hedging should be done simultaneously. Never play your trades naked. Spend time with you family while still making money. Spend time with your family while still making money. Because there is no need baby-sit your trades. Because there is no need to baby-sit your trades. Dilip ji your all articles are very good.In future and options treading With out hedging you can not stay in stock market for long time. I am writing optines last 10 years and did many mistakes still learning. I like your articles all are 100% true. Sir, I do agree with you. Hedging is the best offence for defence. Your articles are simply great & gives us learning experience a lot. I would prefer hedging because it gives a command to command the trade. Please explain me a difference between selling call option & buying put option. Selling call has limited profits, but buying put is unlimited profits. But frankly it is only on paper. 90% of buyers exit at just 10-20 points profits because they fear getting into loss again. I have gone through hedging position, but don’t under stand stock in cash/futures. Stock in cash is fine but what is mean by stock in futures? It will be good if you explain a bit more about how to hedging position? Hedging futures strategy is there in my conservative trading course. It has hedging options and cash equity stocks as well. Sir, thanks for your guidance, I am old sufferer by not following hedging. 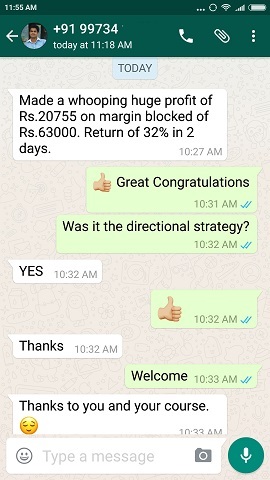 Which One is Better Stop loss or Hedging The Position Sir, well said hedging is the better option than Stop loss to be in safe side. I have a question how to hedge stock future against stock future, say ex. buy a stock future for Rs 100 for current month & sell the same at Rs.100 or in the next month, as no body can time the market, so pls give some idea from yr exp. when to exit in buy side & sell side, hope in most volatility stock will work in intraday, by taking into account ( opening price, days high & days low, the stock need to be identified which goes to days high & back to days low below opening price, then only possible to make money in both side, also to do the multiple times buying & selling I hope. Pls give yr ideas & thoughts in this matter if you can. I am researching on this. Awesome. 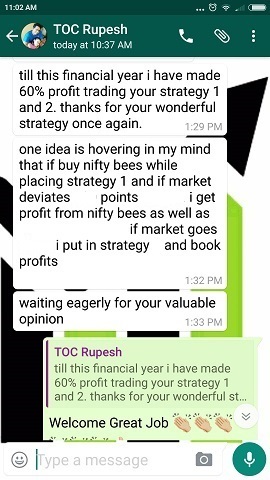 How clearly you discussed about Hedging? It is an eye-opener for all serious traders. I hedge but only if I need too. I position trade in small lots which averages my cost price and then if the market goes against me I hedge at a max of 20 points down. I find this allows time for the market to run in my direction more often than not therefore I find myself with a hedged trade about once per week on average (I mainly focus on one particular index at a time) and all other trades turning a profit. I am averaging about 15% ROI per week.